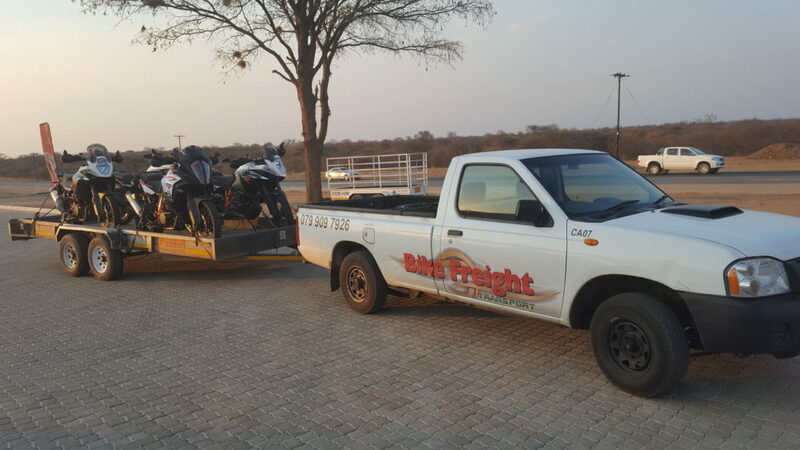 Motorcycle Transport Zambia Trip Transporting motorbikes cross border. Leaving Cape Town for a 3 day trip to Livingstone in Zambia via Botswana for Toren Wing of Wings Herbal and friends. Who will be touring Zambia for around 10 days. Fly back to Cape Town on Sunday 23rd September. Then fly back up to Livingstone on the 3rd October. 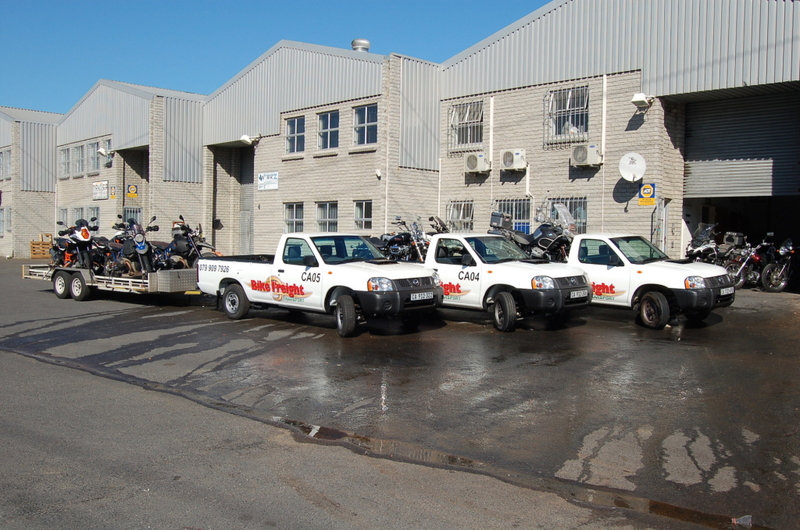 Collect the bikes in Zambia for the return trip to Cape Town. 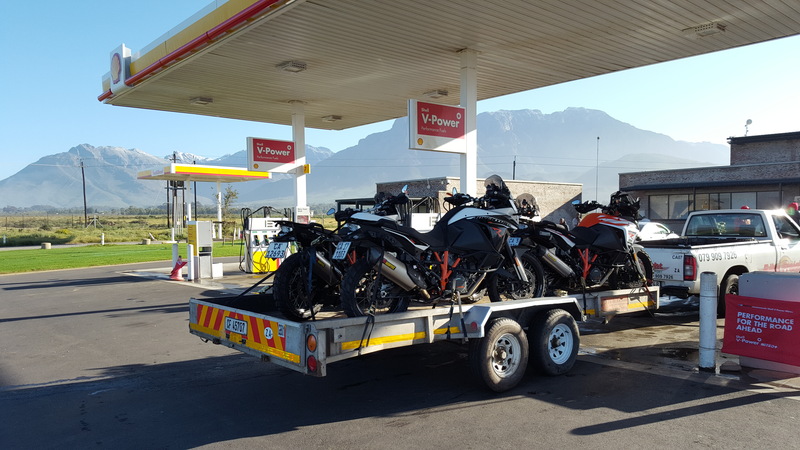 First fuel stop in Worcester WC. Snow on the mountains. 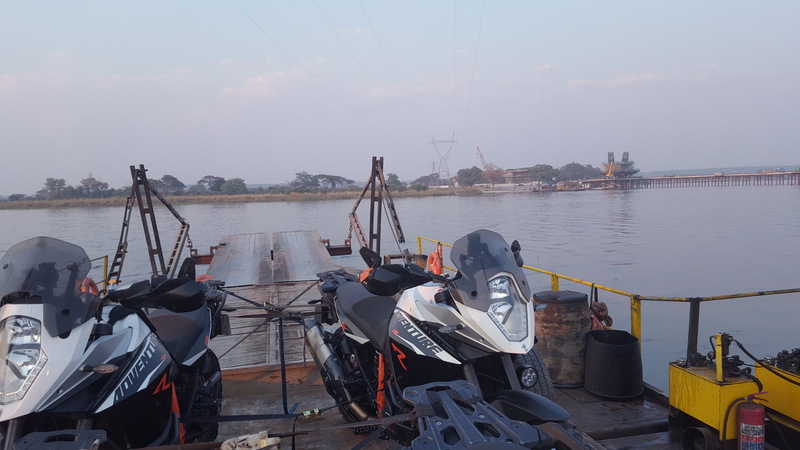 3 KTM 1190 and a KTM 1290 on their way to Livingstone in Zambia. 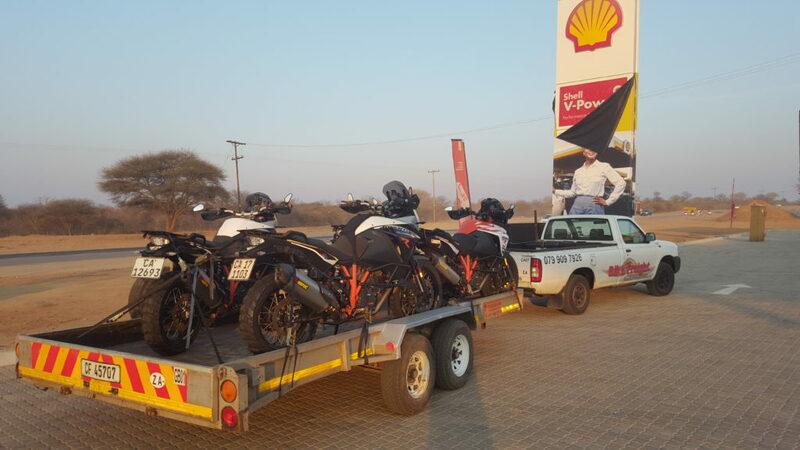 Fuel stop just outside Francistown in Botswana. 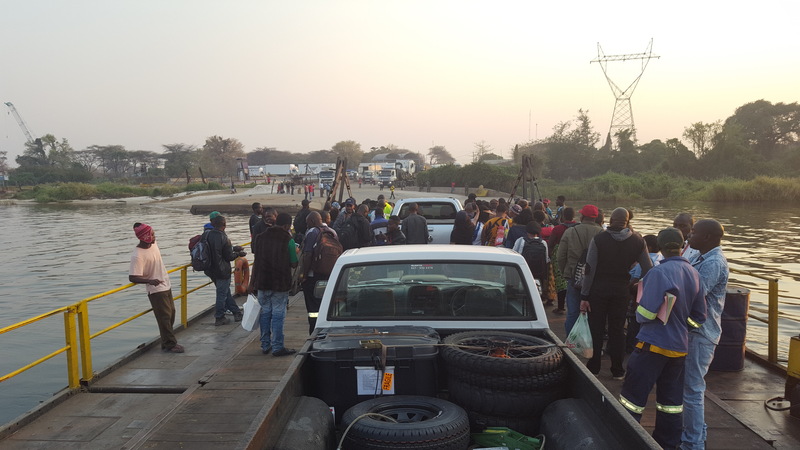 Border crossing into Botswana was uneventful and smooth, no worries there. Took the A1 to Gaborone and then onto Francistown. Pretty good roads for the most part. However I got a speeding ticket just outside Francistown for doing 81 in a 60 zone. This 60 zone is a 4 lane beautiful stretch of highway. 10 Kms further the speed limit changes to 120 KPH on a single lane crappy piece of potholed road, again go figure! I guess the cops make far more money out of speeders on a fast stretch of road. What with a ridiculously low speed limit! 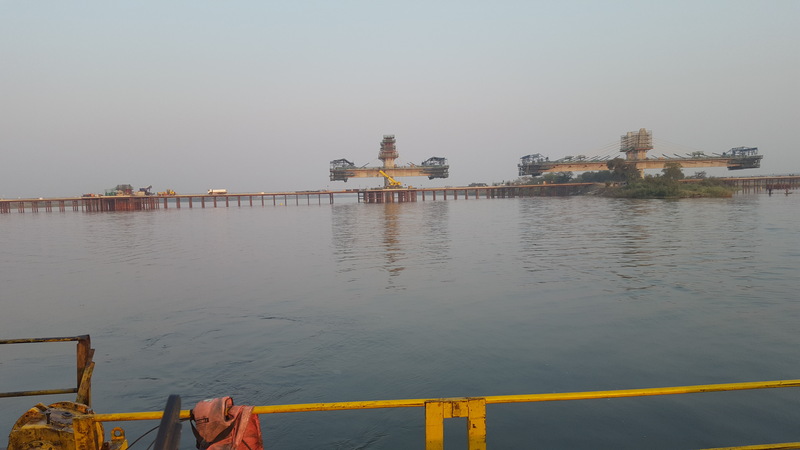 Got into Kasane at around 10.30 Friday evening the 23rd September. Slept in the truck because with so many people hanging around wanting to cross the border into Zambia security of the bikes would have been an issue. 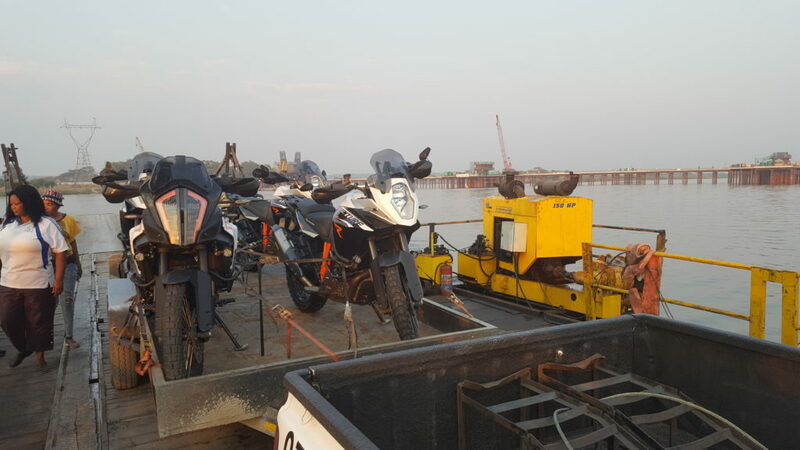 Bright and early, at around 6.30 Saturday morning cleared the Botswana border control and boarded the ferry for Kazungulu. Have to keep an extra pair of eyes for this part of the trip due to all the pedestrians wanting to check out the bikes and what was in the back of the truck. Lots of help with unloading! Arriving at Kazungula in Zambia. Look back across the Zambezi at Botswana fading into the haze. On arrival at Kazungulu I was met with at least 20 “agents” who want to assist with the customs and cross border paperwork. This is a nightmare here because the import export system is NOT computerised. 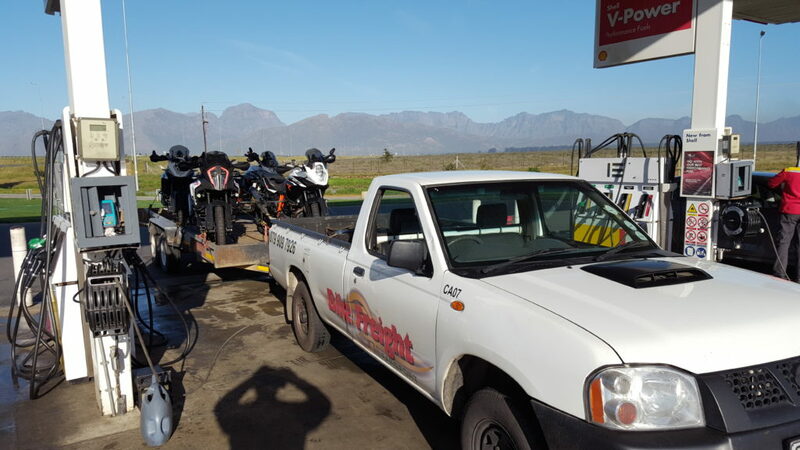 Took me over three hours to clear the border and cost me in excess of R7000 in out of pocket expenses. You must negotiate with an “agent” and get receipts for all the work he does. They are a necessity as one could never negotiate the maze of paperwork and fees that have to be paid and completed without the help of the “agent”. One very frustrating thing, I arranged roaming on my phone which was confirmed with Vodacom prior to leaving SA. It worked fine until I got north of Francistown in Botswana. Then no more calls all the way up through Botswana and into Zambia. The whole point is to have roaming in case of an emergency, not as far as Vodacom is concerned I suppose. So once I got to Livingstone I bought a local sim card and had roaming activated with took no more than 20 mins and worked perfectly fine. Go figure Vodacom.